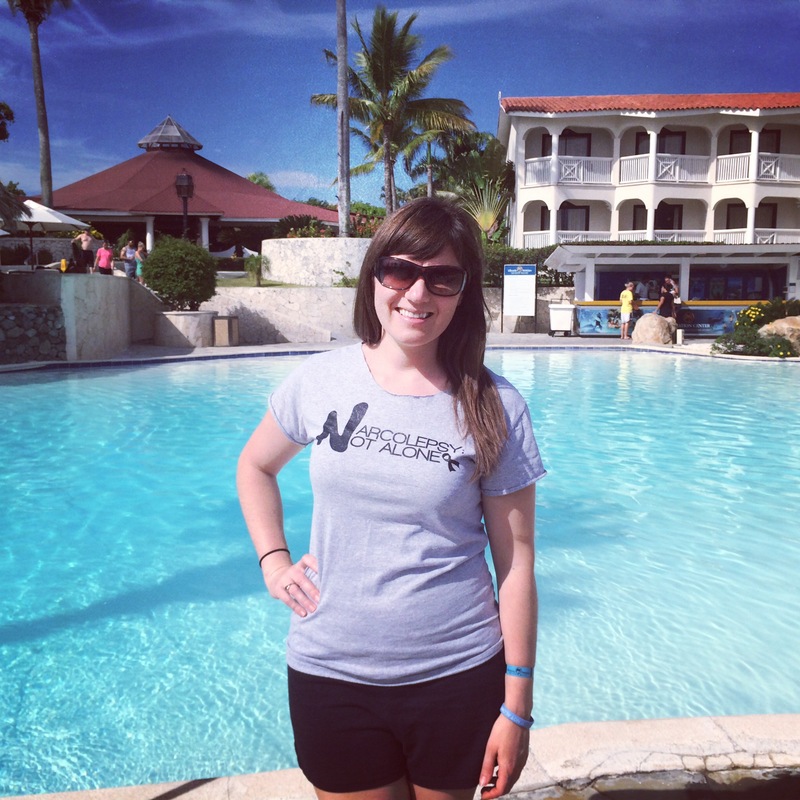 Last week, I traveled to the Dominican Republic on vacation with my boyfriend. 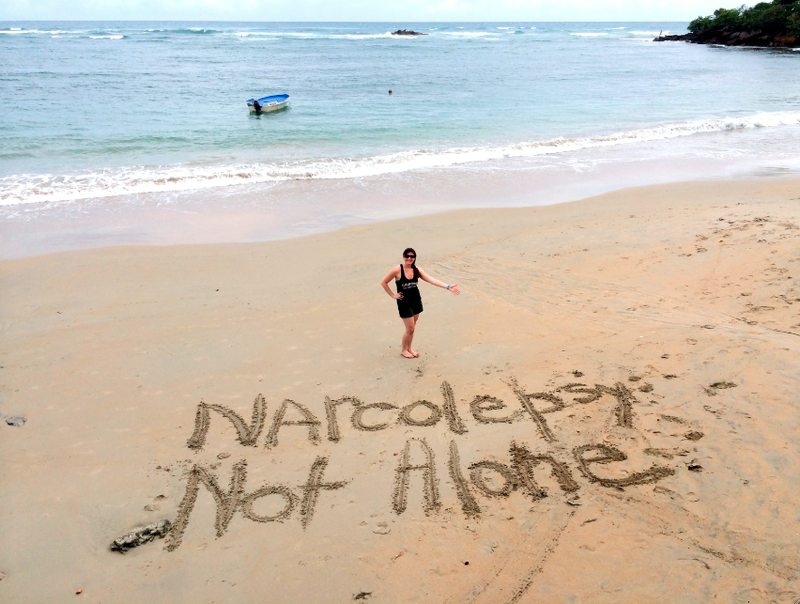 Knowing the Dominican Republic was not yet included in the NARCOLEPSY: NOT ALONE campaign, I was SO excited to personally add the 38th country to our amazing international photo series. In a rush to pack, I forgot my NARCOLEPSY: NOT ALONE paper sign, but it didn’t take me long to come up with a back-up plan! 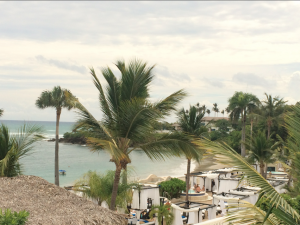 Alex had booked our vacation at an amazing all-inclusive resort that had beautiful cabana beds overlooking the beach. 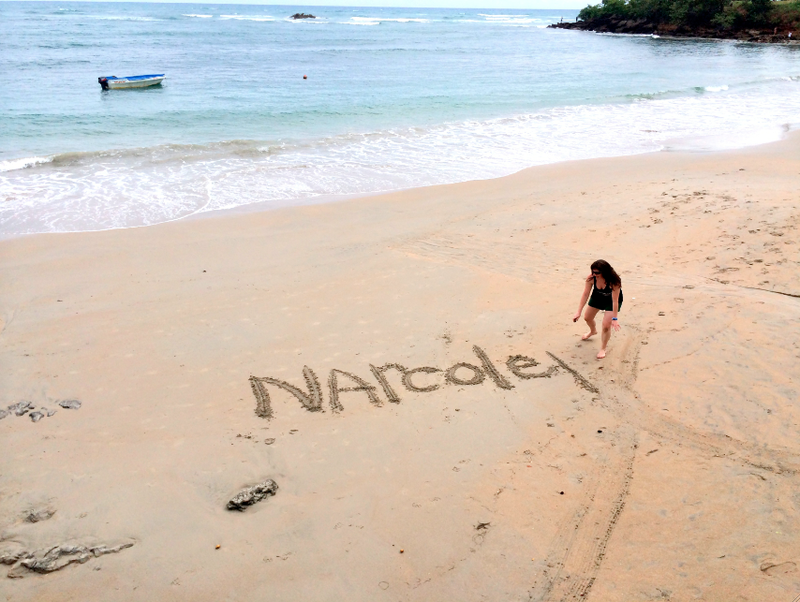 Many people lounged on beds overlooking the beach, so on the first morning, I picked my spot and asked Alex to document my sand-sign-making adventure. As I began drawing, I noticed people sitting up and watching me. I tried not to think about this audience. “You spelled it wrong!” Alex called down the cabana bed area. “Can you read it?” I yelled up to Alex. I raised my arms up to the sun with joy and pride. Alex took a million photos for me and I returned back to the cabana bed area to cool down and take a nap. 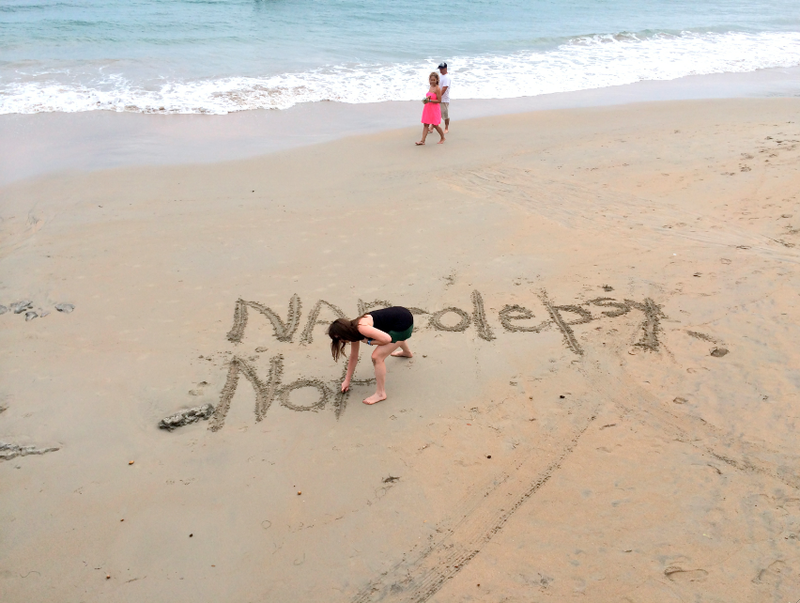 That day, THREE different beach-goers approached me to ask about narcolepsy. This surprised me and reminded me that raising awareness isn’t always loud and clear. 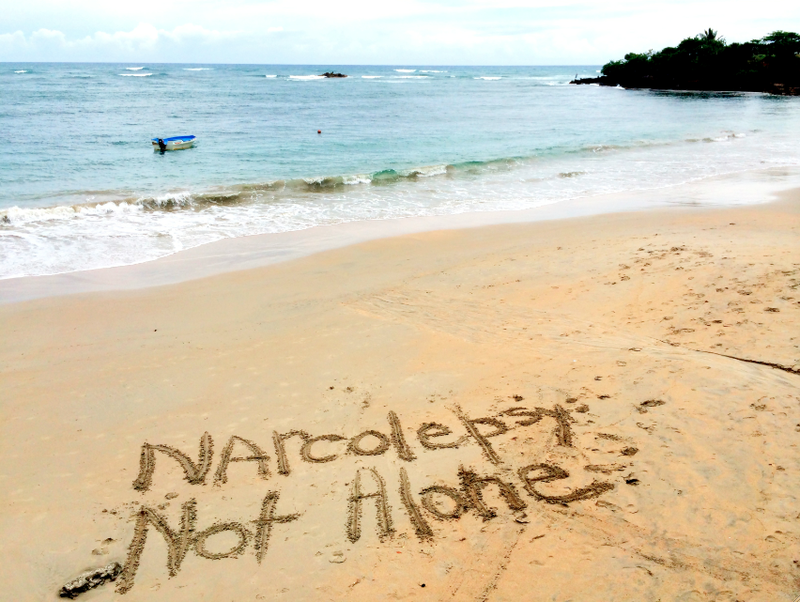 Sometimes, raising awareness is quiet and lonely, gaining momentum slowly like a distant ripple in the ocean that eventually becomes a powerful wave. With each new photo, I truly believe this campaign is a growing force to be reckoned with. 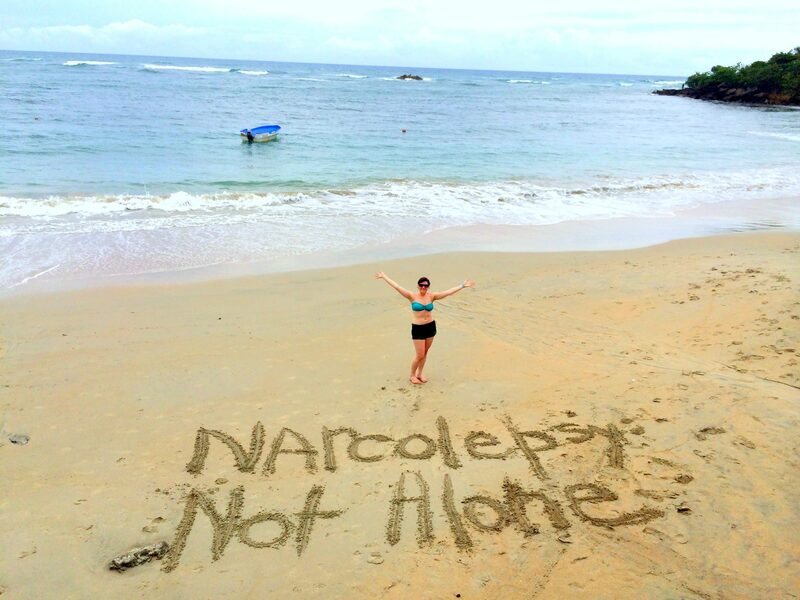 Thank you for giving me the courage to build awareness in the sand. Thank you Alex for an amazing vacation!